If you identify as a bookworm, you're sure to love a 3-hour private literary tour of London (assuming you can put down your current reading material). Follow your guide to the Bloomsbury neighborhood and see key locations relating to England’s iconic writers, including Shakespeare, T.S. Eliot, Woolf, Chaucer, and many more. 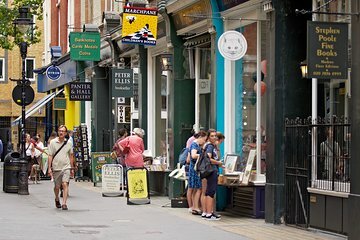 Head to Charing Cross and pop into some of London’s most famous and offbeat book stores, where you can discuss your favorite novel over coffee.